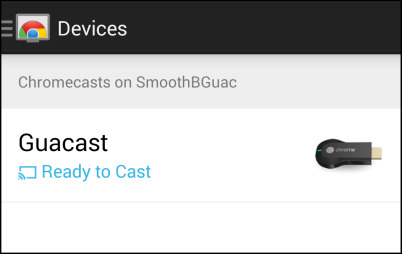 There’s a lot you can do with the Google Chromecast but did you know you can cast your screen from your Android phone or tablet to any Chromecast-equipped display? It’s easy, and we’re going to tell you how to do it. The Google Chromecast rocks. It’s cheap ($35), tiny, and there’s so much you can do with it. If that’s not enough to convince you, then we urge you to check out our Chromecast review! We’ve told you already how to cast any video from your desktop or laptop to your Chromecast. 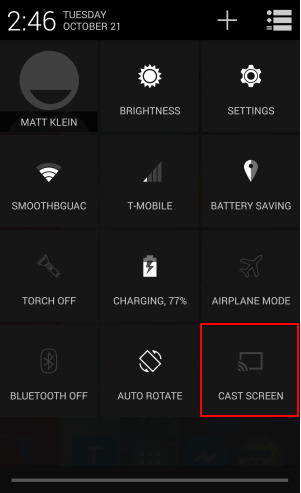 In this article we will show you now how to cast your Android device’s (phone or tablet) screen to your TV. Before you can cast, you need to make sure your device is ready. The first thing you will need, other than an Android phone or tablet, is the Chromecast app from the Google Play store. Once installed, turn your TV’s mode to the HDMI input where your Chromecast is plugged in. Open the Chromecast app and you will see your Chromecast device(s) on your network. 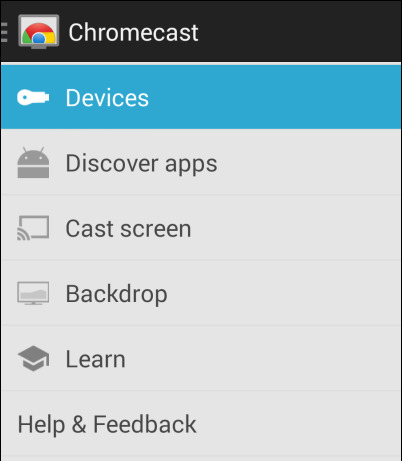 Tap the area where it says “Devices” to reveal the Chromecast settings. 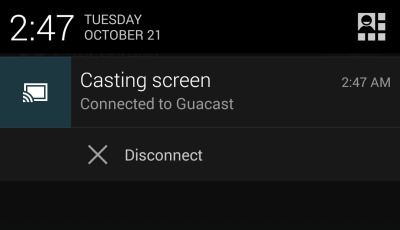 Tap “Cast screen” to continue. Your device list will appear. If you have more than one Chromecast installed on your network, obviously there will be more than one here. Tap the Chromecast to which you want to cast your screen, and it should subsequently appear on your TV or similar device. 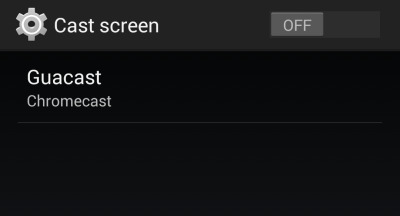 If you’re using so-called pure Android, there’s an even faster way to cast your screen. Touch your finger to the status bar to reveal the settings panel. What you see may vary from our screenshot, but regardless there should be a Cast Screen button. Tap it to open the cast screen controls. It makes no difference if this settings is turned “On” or “Off” so we won’t even bother. 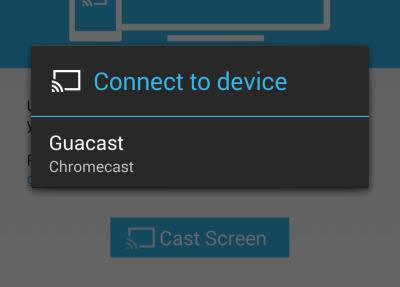 Instead, tap the Chromecast to which you want to cast your screen. That’s all you need to do. That’s all for that, so simple and yet so awesome. That said, how well does it work? So, screen casting is obviously a neat trick, and we can see the immediate value, but to that end, is it worth using? How does it perform? Can you watch movies and play games from your device without any noticeable or irritating lag? The short answer is yes, you can and you’ll likely be fairly pleased with the results. Of course, there are some drawbacks but these are very minor; they’re more like caveats than glaring problems. First, if you’re casting, it will be adhere to the behavior of your device. This means, when your screen times out, it will too on your TV. Also, whenever you view something in portrait mode (home screens on most phones don’t switch to landscape), it will appear as such on whatever you’re casting to. Keep in mind too that you’re mirroring devices, which means that the source device must stay awake. Bottom line, if you plan on watching movies and videos for long, extended periods, you may want to plug your source device in. Finally, and this is most important, whatever happens on your device will appear for all to see, so if you have any private texts or messages that arrive while you’re casting, others may be able to see and read them. Yes, But How Does it Perform? Let’s get to the nitty-gritty: performance. How well does screen casting work with stuff like movies and games? As far as movies and videos are concerned, the experience is fairly flawless. 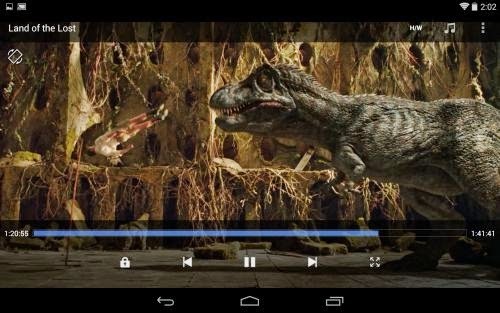 You can use any free video player, such as MX Player or the tried-and-true VLC (still in beta), and you can watch just about anything on your device and project it to your big screen. The results are clear, crisp, and responsive, so we’re pretty sure you’ll be pleased with them. But, what about games? 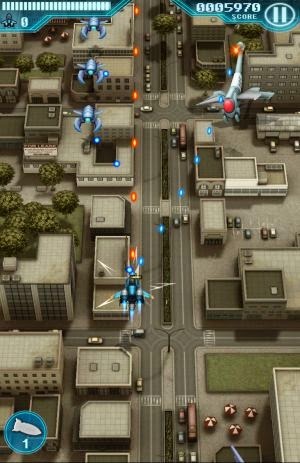 The appeal of being able to play games on your device is obvious. Being able to play them on a big screen heightens that appeal even more. We tried out several games on a variety of Nexus device (4, 5, and 7), and are pleased to report that casting games to our big screen did not noticeably affect performance (other than being not very good at them). Lag, if any, was barely noticeable. Games ran as smoothly on our TV as they did on our devices. The only real drawback was that most games run in portrait mode. The biggest factor in judging performance will be your device. For example, games for us performed appreciably better on the Nexus 5 and Nexus 7, than the Nexus 4. Keep that in mind, but know that we were able to play a number of games that required flicks, taps, and other assorted movements with satisfying results. 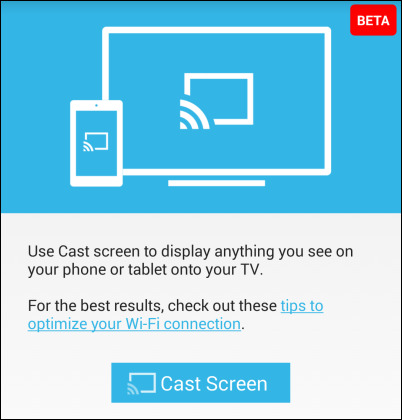 Screen casting is an easy and inexpensive way to project your device to any big screen in your house with a Chromecast attached. In fact, it’s so easy, that we now often use it to watch many of our favorite videos or just lazily surf the Internet from the couch.